It was hard to grow up in Minnesota and not know Carmen the Nurse. As Carmen, Mary Davies was costar to Clellan Card’s Axel from 1954 until Card passed away in 1966. 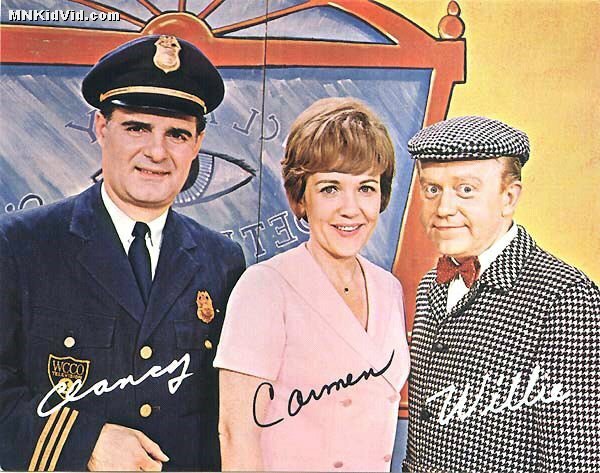 After that, Mary Davies hosted her own program, Carmen’s Cottage which was paired up with Clancy and Willie on weekday mornings until 1977. Mary Davies Orfield passed away on February 7, 2014 at the age of 88. As a young child, Mary Davies appeared in Madame Butterfly with the Chicago Opera Company. She grew up to become a popular entertainer and singer in the Twin Cities. She performed on local radio shows including the Dayton Soda Set Show, Stairway to Stardom, and later on WCCO-TV programs like The John Salisbury Variety Show and Country Holiday. She even appeared on Arthur Godfrey’s Talent Show. 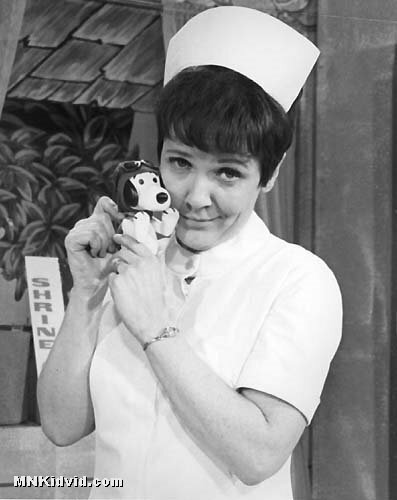 In 1954, Mary Davies joined Clellan Card on Axel and his Dog, creating the popular character of Carmen the Nurse. She was recruited for her first show when Clellan became ill and a replacement was needed at the last minute. She made occasional appearances with Axel, including performing with him at Excelsior Amusement Park. 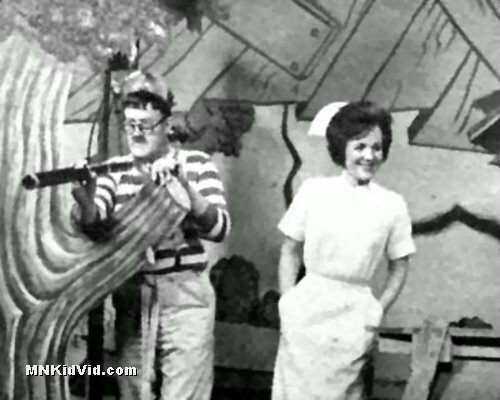 In 1963, she became the full time cohost. Sadly no footage is known to exist of Axel and Carmen together, although some audio recordings survived. Following Clellan Card’s death in 1966, Mary continued the show, moving from the Treehouse to Carmen’s Cottage. She would often appear with Clancy and Willie. Both shows had their final broadcast on March 25, 1977. Mary Davies Orfield continued to perform and entertain after the program ended. She worked as a volunteer and was a supporter of The Animal Humane Society. She raised a family of six children and was loved by her eight grandchildren and six great-grandchildren. In 2004 she was inducted into the Minnesota Broadcasting Hall of Fame and appeared at the Hi Kids events at the Heights Theater in 2009 and 2010. Here is a collection of clips featuring Mary Davies, courtesy of the Pavek Museum. MARY DAVIES from Pavek Museum on Vimeo.